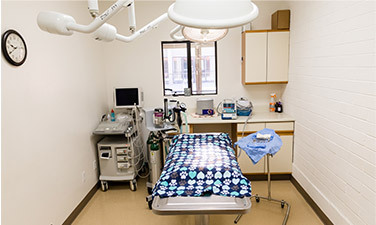 Our mission is to provide the highest-quality veterinary care to our patients while serving our clients with compassion and professionalism. 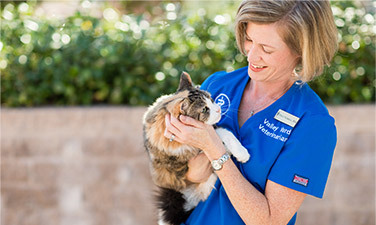 Here at Valley Verde Veterinarians we understand the important and irreplaceable role that our pets play in our lives. 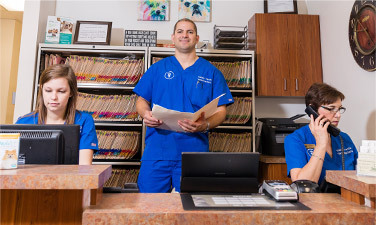 Our veterinarians and staff strengthen that bond by caring for your pet from birth to old-age and provide compassionate care tailored to you and your pet’s needs. We offer excellent service in a warm and caring environment to make you and your pet comfortable. If you are looking to become one of our treasured clients, we’d love to meet both you and your pets. If you’re already a client, we can’t wait to see you again. Call 520-393-7387 for an appointment.